I never know how to arrange still life set ups. I just scooted these peppers over and they looked like a painting. Some random peppers painted on black gesso. 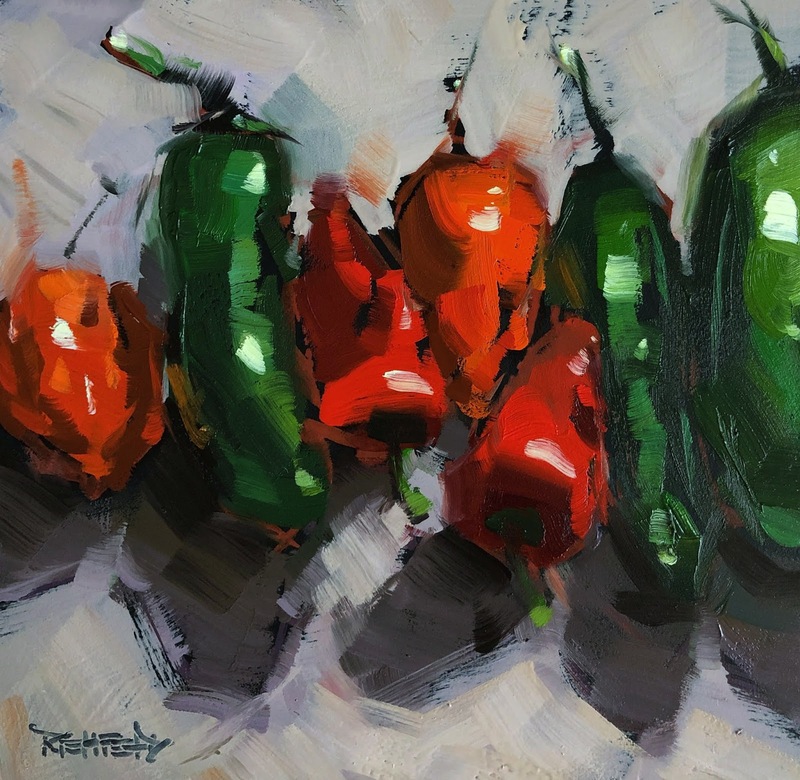 Click this link to view #1197 "Random Peppers" original oil painting on Daily Paintworks Website, and to see all of my paintings. #1194 "December Day Smith Rock"
#1190 "Palette Knife Oregon Tree"